Within the next few weeks, Microsoft will be debuting their next graphics API at the Games Developers Conference on March 20th, 2014. This was confirmed via the DirectX blog. The session will begin at 10am PT on March 20. The Windows graphics manager at Microsoft, Anuj Gosalia, will present the new API. Additional details are unknown at this time. For nearly 20 years, DirectX has been the platform used by game developers to create the fastest, most visually impressive games on the planet. However, you asked us to do more. You asked us to bring you even closer to the metal and to do so on an unparalleled assortment of hardware. You also asked us for better tools so that you can squeeze every last drop of performance out of your PC, tablet, phone and console. Come learn our plans to deliver. Max McMullen, Windows graphics development lead, informed us they're mainly focusing on Direct3D features. This will allow next generation games to run "faster than ever before". He also added that Direct3D "will allow developers an unprecedented level of hardware control and reduced CPU rendering overhead across a broad ecosystem of hardware." Hopefully this news will bring us PC gamers closer to the newer technology and possibly better graphics, because the next generation consoles have to show! What do you think of this news? 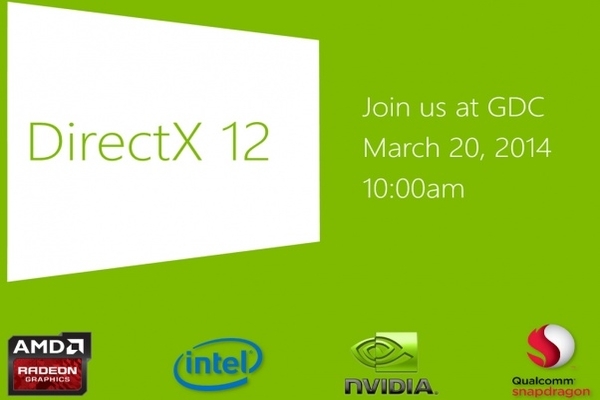 What else do you think Microsoft has in store for DirectX 12?